The major financial markets continue to consolidate from recent correction. A stock market is still accompanied by higher volatility due to a mixture of events happening recently. One substantial affair happened last week. Fed Chair Jay Powell assessed a strong economy, which may lead to more restrictive monetary policy this year. This will be closely watched by the entire market this year. As the market reacted to this negatively last week, it also managed to stop at crucial support levels. Let’s see what this week’s market review shows per each index. At the start of the week, the index hit the outer trend resistance (wide red line) and consequently dropped to the inner trend support (orange dashed line). This is most likely the strongest support around 100 MA at the moment and thus, we shall perhaps expect upward direction. 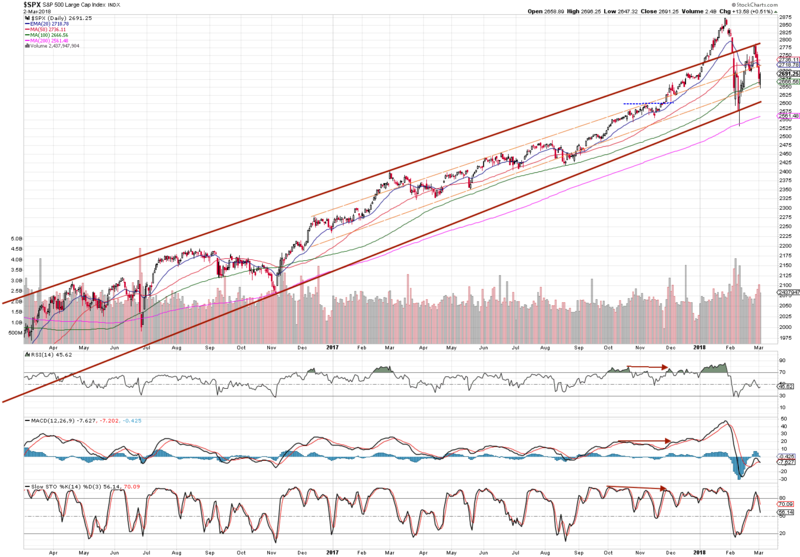 However, with increased volatility, I would be surprised if the index drops to the outer resistance (lower red line). Dow just loves its moving averages. 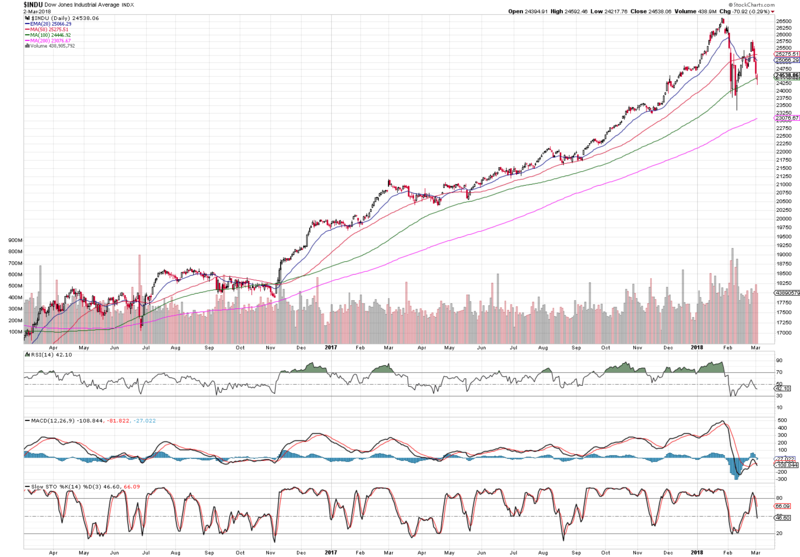 The index landed on 100 MA on Friday. Nasdaq is certainly top performer at the moment. 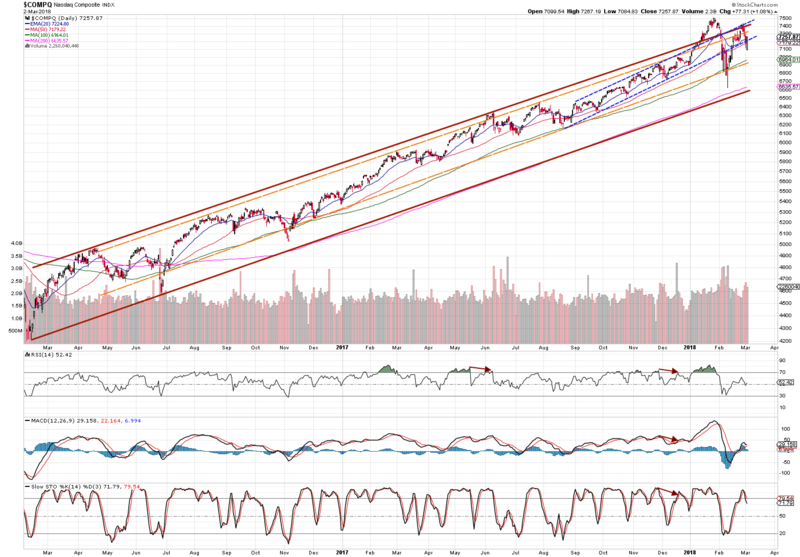 It opened below 50 MA and managed to return to its bull trend channel (blue dashed lines). UK’s FTSE struggles with the correction. The index actually made another low to price levels last seen in 2016. The markets still hold a positive outlook. In long-term, the current correction is a good buying opportunity for healthy stocks. In short-term, the market review suggests that we have just landed on support levels and thus, an upward direction should take a turn. Until the next market review, stay disciplined and follow the big trend!